Professor Keiichi Uchida, director of KU-ORCAS. 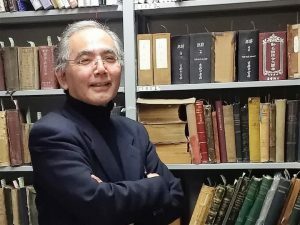 Osaka, Japan, (Feb. 6, 2018) — Kansai University, Osaka, Japan, has launched an open access digital platform to serve as a global hub for accessing digital archives of valuable collections of hand written letters, cultural artifacts, and documents tracing the history of languages and culture in East Asia. Uchida and his colleagues are building an open access platform with digital archives of historical information on East Asian culture. -The unit will be archives primarily from Kansai University’s collections of dictionaries and academic reports. The KU collection of literature will be linked to collaborating institutes overseas including The British Library, The Bibliothèque nationale de France, Vatican Library, and Harvard University. 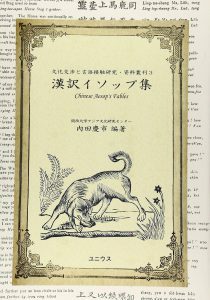 -Develop ‘WEB Hakuen-Shoin’ with archives of the roots of Kansai University. • Data accumulated by Kansai University on ancient Asuka and Naniwa Tsu. Center for the Study of Asian Cultures (CSAS), Kansai University.